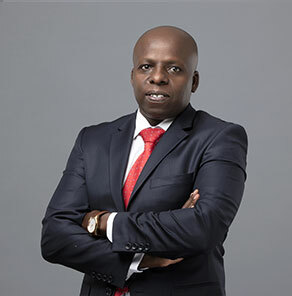 A key pillar of East Africa’s economic transformation in the last decade, growth in the Real Estate and Construction sectors has accelerated due to substantial investments led by the private sector and the government. In addition, rapid legislative changes have swept the property market, affecting property ownership, transfer of property, planning and development, land use, County Government holding on land amongst others. It calls for an innovative and clients’ tailor made solutions to the ever-dynamic property market in both legal and commercial perspective. It demands timely advises to property industry players on relevant Laws in the Sector on any potential liabilities and implications of existing Land Laws and any future legislation enacted touching on Property . We have the privilege of representing clients in all areas and sectors including individuals, Government bodies, financial institutions, landowners, developers, institutional investors, foreign entities and local companies in all aspects of property investments. Our Property team comprises of dedicated and experienced lawyers possessed of the requisite skills to handle all legal issues relating to real estate, property and Land Use. In additional to the legal experience the team is possessed of substantial academic and professional credentials. 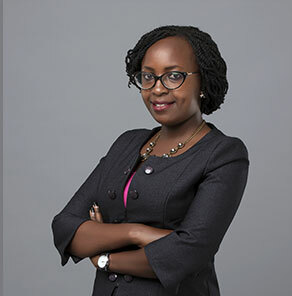 The experience of the team is wide and is in all aspects of land law and property transactions with its focus being on well-researched and solution-oriented approach, in handling of all aspects of property transactions. We have a well and long established relationships with the relevant county Government offices, planners, architects, Surveyors, Revenue Authority, Ministries, and various other government institutions and agencies touching on the sector and which relationships help in expediting the process of obtaining of all necessary approvals, permits and authorizations required in projects and real estate generally. om wrongful use of data and have assisted entities in developing data protection regulations, policies and manuals on handling and use of data. •	Transmission. rade secrets, and in drafting confidentiality and non-disclosure agreements. •	Advisory: advising South River Homes Limited, a property development company, on the legal structure for acquisition, development and sale of high-end 160 residential apartments in Kilimani area, one of the highly sought-after residential neighborhood in Nairobi. The brief entailed offering legal advice on a continued basis and undertaking work relating to procuring from the relevant authorities, development permits and change of user of the land, drafting the contract documentation (agreements for sale and leases) and incorporation of a management company to manage the development. In additional we have given advise to a hotel establishment in Nairobi in acquisition of land where the Firm undertook due diligence, negotiated the terms of sale and dealt with the tax aspects arising from the purchase. •	Transmission: Undertook successfully transmission of assets from a deceased to numerous beneficiaries in a contentious matter with an estate valued at US Dollars $5,000,000. The process included preparation of contractual settlement documents, drawing transfer documents, obtaining consents, to the eventual registration of assets to the end beneficiaries. •	Contracts Review: Acted for project owners in negotiating and reviewing terms of Project Finance loan documentation for provision of Senior and Mezzanine debts to finance the costs of construction and operations of a 170-room hotel facility in Nairobi in a transaction involving 2 of the Kenya’s largest Banks, a deal valued at more than US$20 million. •	Lease: Acted for the Vendor in property leasing transactions involving the largest telecommunication operator in East and Central Africa. The process involved undertaking due diligence processes, drawing of the lease documents, payment of stamp duty and registration. •	Conveyance: Undertaken transfer of a commercial property by way of shares transfer while acting for Kenya leading entity in the Hospitality industry with the assignment transaction value being in excess of US $ 5,000,000. •	Property Acquisition: Acted for Qui Livestock limited in acquisition of property in Kajiado to construct an abattoir for donkey meat export market. The transaction involved carrying out due diligence on the property, confirming with the local authorities the permitted “user” of the property, preparing and negotiating the terms of the sale agreements, preparing and registering the transfer documents, and obtaining titles in the name of the client. Once the sale transaction was completed, we co-ordinated the application for change of user of the property from agricultural to commercial and acted generally for the client during the construction of the offices. •	Joint venture Projects: we have acted for developers including Blooming Vale Limited and Gem Realty Limited developers undertaking development and construction of residential and commercial apartments transaction value in excess of US $ 10,000,000 . The process carried out involved undertaking due diligence, formation of special purpose vehicle, application of exemption of duty, transfer of property to the special purpose vehicle , formation of management company and transfer of reversionary interest to the management company. •	Land use & Environmental Compliance; Acted for Mashareq limited in respect to Change of Use and Extension of Use and Leasehold interests over a prime property within Nairobi intended for development. The engagement involved various approvals by planners, Surveyors, NEMA and County Government. To ensure competence and professionalism, we sourced other external specialized retained professionals strengthening the available skills.